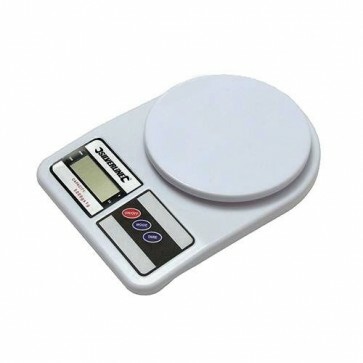 Brand New Digital Scales Weighs both metric and imperial to a maximum of 5kg /11 lbs. Gives a precise reading in 1g/0.1oz increments. Tare function, auto zero reset and auto power off. Requires 2 x AA batteries.